Okay, I admit it, we're stalling. We've a bunch of videos, entries, and the full set of plans about ready to go on this board. We also have new entries ready for our ownboardcooking.blogspot.com site. So why are we stalling? Our marina is in the process of installing fiber optic broadband, the cables went in a few days ago and we're just waiting for them to trench it across the parking lot to the marina office. Until then, we're stuck tethering a cell phone for uploads, which is slow, tedious, and expensive. We had been prepping things and then going to our local library to upload. Then they closed the Essex branch for repairs. . . . .not to be opened until December. So we're stalling a bit, waiting on the marina broadband to get hooked up, hopefully in the next week, to upload all this stuff. Please bear with us. One of the things we DIDN'T anticipate was the effect of the cold weather on our butane stove. I knew from our restaurant that these things were less efficient in cold temperatures, but the combined effect of cold weather and the significant drop in the temperature of the canisters when the gas is released (same thing that happens in your air conditioner coils), means that what starts as a perfectly nice flame suddenly becomes a barely lit trickle of heat. Most of the disasters with these butane catering stoves seem to have been caused by people trying to warm the canister while the stove is lit. This qualifies as Natural Selection. As a result in the next week or so we're trying out a Butterfly 16 wick Kerosene stove. We'll give you a full report, both here and on our cooking blog. Stay tuned. I lived on a 26' sailboat for almost 6 years. When I bought it it had a single SeaSwing stove which is brilliant for when you're out on the salt and heeled over, but I needed more than a single burner. I bought a two-burner stove at an RV dealer and two 2-1/2 lb propane tanks. I kept the tanks out in the cockpit and would connect the stove up every time I used it. It may sound like a hassle, but there was a safety factor involved. Propane is heavier than air and would sink into the bilge if possible. It took about 30 seconds to hook the gas up or disconnect it and turn the valve on or off. Each tank would last me nearly 3 months. When I got back from my 9-month cruise to Mexico, Belize, and the Rio Dulce in Guatemala I bought a 20 lb. tank and it would last me well over 6 months. The advantage of propane over butane is that propane is available EVERYWHERE. Butane isn't. There are many places to get propane tanks filled. Never saw a butane outlet and the cost of those individual small butane bottles add up fast. It's been over 20 years since I bought that RV stove. I wouldn't buy a Colman camping stove. Not sturdy enough. Down here in Panama everything is propane. The stuff is subsidized by the government and a 20 lb. tank costs $5.50. For the shantyboat I plan on I'll buy a cast iron two-burner model. They are EVERYWHERE around Chiriqui Province because they're cheap (Like $27 as opposed to the RV stove which I paid nearly $100 for 20+ years ago or a Coleman camper stove.) The reason the cast irons are so cheap and ubiquitous is because of the Ngäbe-Bugle who are the country's largest indigenous population. Most are dirt poor and while those living in the outback do a lot of their cooking over wood fires they can afford the cast stoves. 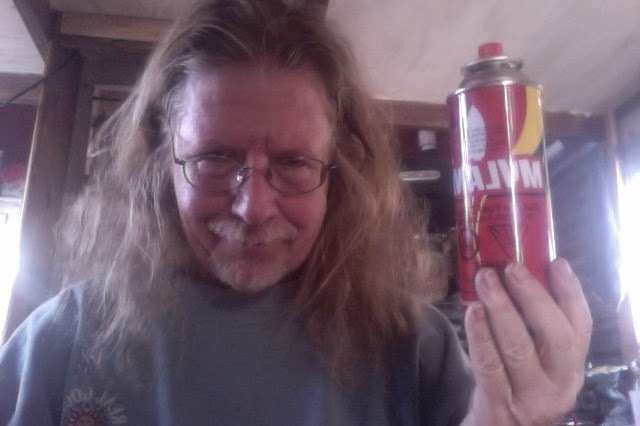 We actually went with the butane because we had them from the restaurant we owned for a number of years, but I agree, unless you have access to the interwebs, an asian market, or a restraunt supply, the bottles can be a bit of a bother to find. Propane, as you cited, has some downsides for any vessel with an enclosed hull. We have finally settled on a kero stove and oven setup (see "butterfly stove review"), which is wonderful, sips fuel, the fuel is stable and easy to store, and is safe.